The retailing giant said Monday that 10 of its fulfillment centers in operation across the U.S. include these software and mechanical innovations. 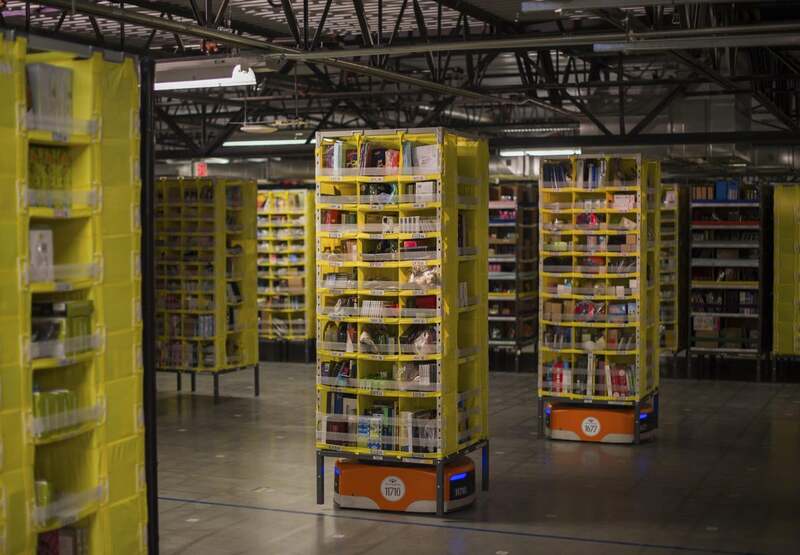 The total number of Kiva mobile robots, which transport large vertical racks containing inventory, has topped 15,000 across the U.S., Amazon said. The company agreed to buy Kiva Systems in 2012 and has been adding robot platforms to its warehouses to improve efficiency. Amazon also said it had deployed an inventory-moving robotic arm dubbed Robo-Stow, which according to a press photo is an M-2000iA, made by Japan's Fanuc robotics. The machine is billed as the strongest of its kind in the world, with a lifting capacity of 1,200 kilograms, enough to move car bodies around factories. Amazon is also using new computer vision systems that help complete the unloading and receipt of a trailer of inventory in only 30 minutes compared to hours without using such systems. Human workers, meanwhile, are using "new, high-end, graphically oriented computer systems" while filling orders.